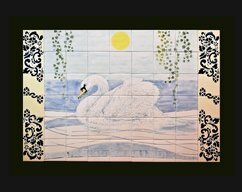 Original Hand painted ceramic tile mural backsplash. Not a factory produced "fake handmade" art. 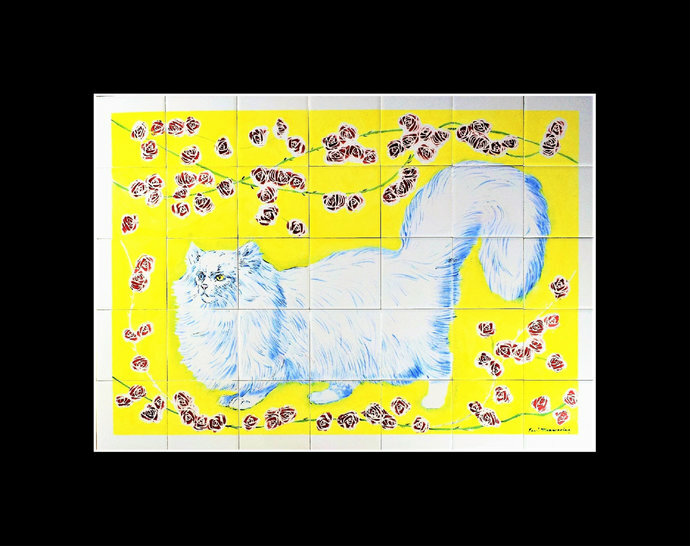 This is a colourful design with a large white Turkish angora cat set against a bright yellow background and the mural is also detailed with trailing red roses. The Angora cat is considered a national treasure in Turkey and particularly prized are angoras with "odd" eyes, one blue and one green. Just like our beautiful boy ! Size = 28" W x 20" H. ( 71cm w x 50cm h). The tiles are numbered on the reverse and the order comes with an installation plan. 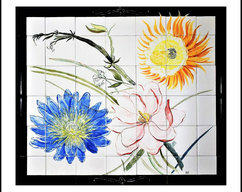 These glazed tiles are used indoor and outdoor. 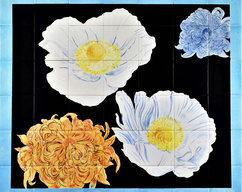 Suitable for kitchen backsplash, as bathroom / shower murals, etc. Wipe clean. Gloss finish. Each tile is individually bubble wrapped and then the mural is double boxed with lots of polystyrene pellets. 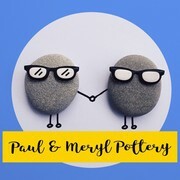 In the unlikely event of a broken tile, we will paint a replacement and send free of charge. (see FAQ's). Once the design is finished , it's then ready for firing. We fire at a very high temperature for 8hrs, to produce a permanent gloss finish. The kiln then takes 8hrs to cool down. 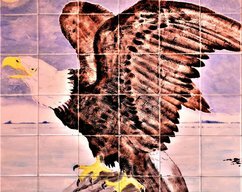 The finished tile mural is waterproof, extremely durable and of course heat resistant.